Classic, traditional, bungalow and colonial homes all have one thing in common – the use of double hung windows. In this article you’ll learn the definition, advantages and disadvantages, options and places to use residential double hung windows. Definition – A double hung window is a two sash window that operates in an up and down fashion which uses various balance systems to keep the sashes open. Fits into many architectural styles – The traditional look of the double hung window makes it a popular choice for a classic, country, colonial or bungalow style home. Low price windows – This window has a simple design and is the most popular window manufactured in the United States – which also makes it the most cost effective. Easy to operate & safer for children – The double hung has two window sashes which can be opened from either the top or the bottom. 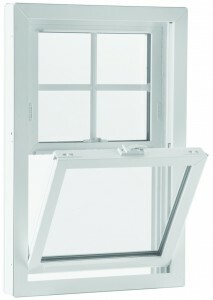 Opening the top sash can give you ventilation without having to worry about small kids falling out through the window. Simple design increases longevity, & makes it easy to clean – The double hung window does not require any operable cranks (like casement or awning windows) and most new designs allow the sashes to tilt in for easy cleaning. Allows the use of a room air conditioner – In the summer the bottom sash can be lifted and a room air conditioner installed to make a room more comfortable. New thermal window styles eliminate the need for a storm window – Installing and uninstalling storm windows every year can be dangerous and a pain to do. New vinyl, wood or fiberglass thermal windows provide much higher levels of energy efficiency which eliminate the need for a storm window. They don’t maximize the amount of air flow – Since only the space of one sash is open at a time (of this two sash window) the double hung does not provide as much air flow as a casement or awning window style window which has one sash where the entire window area is open. 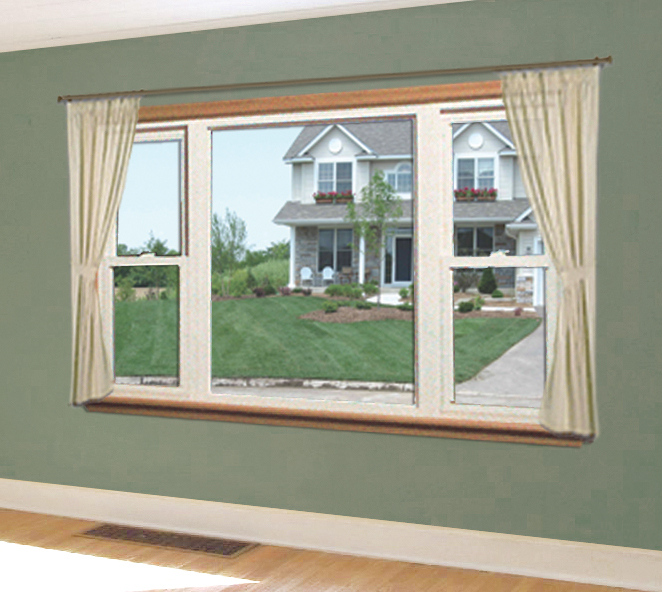 Not as tight a seal– The double hung window does not seal as tight as a casement or awning style. A double hung is not designed for horizontal openings – The double hung is designed for vertical openings so for your horizontal openings you’ll most likely want to choose a slider, awning or picture window. 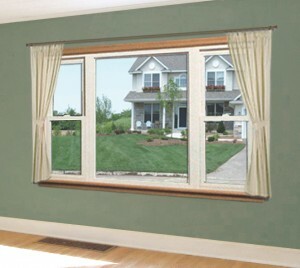 Higher energy efficient windows with upgraded glass packages. These windows are most often found in bathrooms, bedrooms, utility rooms, sunrooms or flanking a picture window in a bay family room window. Do you have any questions or advice about using a double hung window? Please comment below. To learn more about slider windows or to get free consultation contact Cleveland Window Company (216-531-4118) or Clear Choice Window & Door in Columbus (614-545-6886) or in Cincinnati (513-744-2184) – divisions of Innovate Building Solutions. 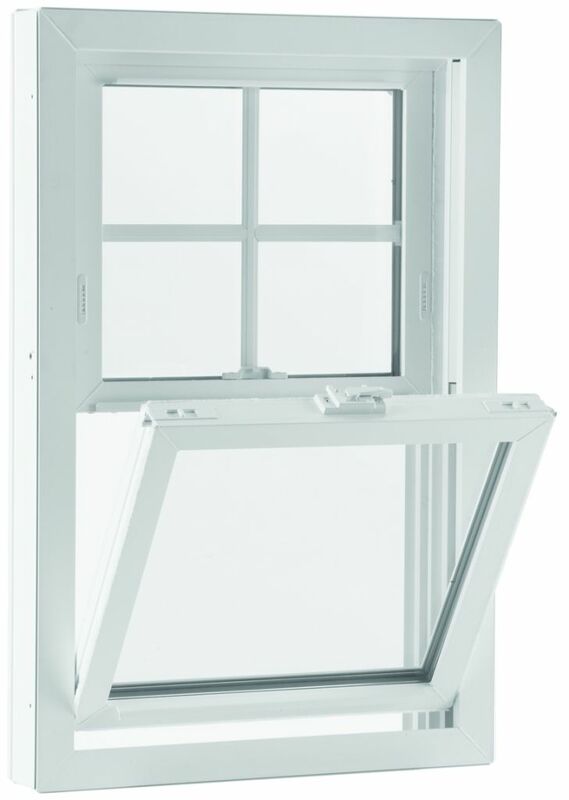 Vinyl or wooden crank out casement windows – are they they your best replacement window choice? Are vinyl or wood awning windows the right choice for your project?